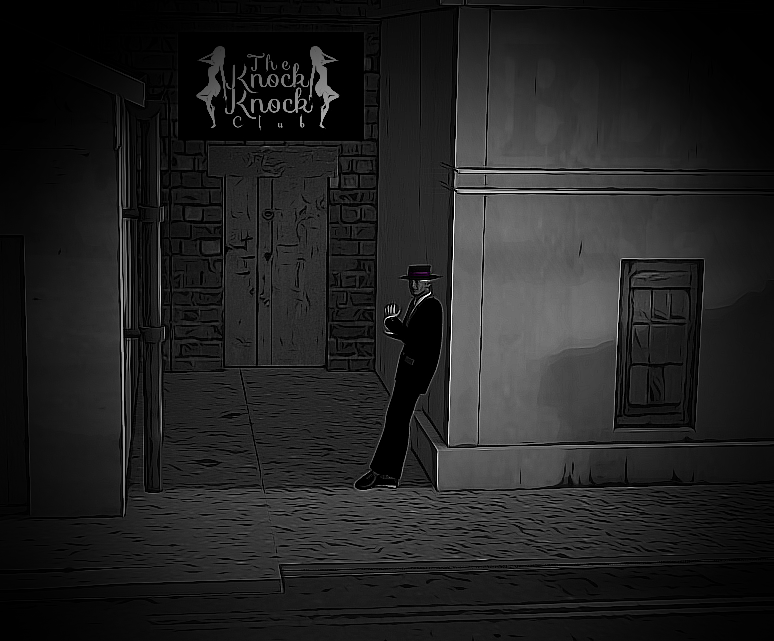 In the poorest area of the Shady City, known as the Shanties, lies a club called the Knock, Knock Club. You will find it if you care to venture down an alley and are keen enough to knock on it’s door. There you will find a charming manager, Dennis, to meet you. Entertainment is provided by some of the best talent the city has to offer and if you care to become a member the Knock, Knock Club will always have your back. It has had its fair share of challenges to face. It has been a hiding place for criminals, raided by the Coldford City Police Department and been burnt down but it has always managed to claw its way back up to continue as a feature in the south of the city. There is a war brewing and the Headliners who own the club are leading the charge. It is a cabaret club by all measures but behind its closed doors there is something sinister going on. Enter journalist, Sam Crusow, to expose it for what it really is. Join us at the Knock, Knock Club for the hit graphic novel series.